I read this article and found it very interesting, thought it might be something for you. 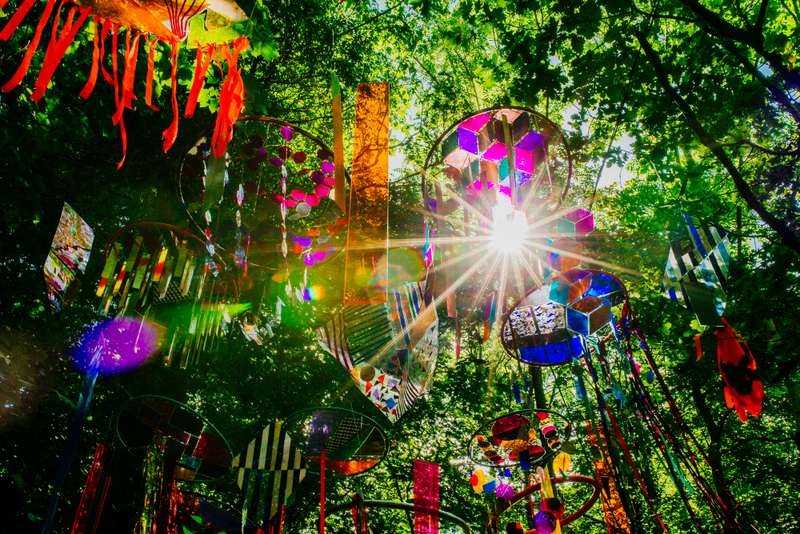 The article is called 5 of the Best Things to Do at Electric Picnic 2018 and is located at https://www.totallydublin.ie/arts-culture/festival-features/5-of-the-best-things-to-do-at-electric-picnic-2018/. All roads lead to Stradbally this weekend for the annual pilgrimage that is the Electric Picnic. Those lucky enough to have bagged themselves a ticket will be looking forward to one last hurrah before summer mellows into autumn and the old, familiar seasonal routines kick in. Get yourself into the groove with our guide to fast packing, slow food, chic dancing, granny’s gaff and the ever-awesome Mind Field. Happy camping! Booze: Check. Ear plugs: Check. Female urinals: Check. When it comes to packing for the Picnic both Roy Keane and Benjamin Franklin had it right, “Fail to prepare, prepare to fail”. If you haven’t got yourself sorted by now we suggest you might need to get on with it pronto. We’re aware of the movements of some Pink Moon Campers who have been busy planning their Picnic preparations with all the finesse of a minor military operation. By this stage they may well have cleared out every Lidl, Aldi, Dealz and Dunnes within a four county radius of Stradbally. They’ll be the ones in the queues for the loo with the tell-tale pink urinals secreted in the folds of their kimonos. From a selection of dainty cocktail creations to the trusty old spice bag, Theatre of Food oh, how we love you. Chef Andy Noonan will be firing up the barbie and getting all low ‘n’ slow while there’s a banquet in the woods in aid of Temple Street Children’s Hospital overseen by chefs Derry Clarke and Clodagh McKenna. Watch out for a psychobiotic talk on mood food from Professor Ted Dinan, a spot of detox-retox and an international selection of time-honoured hangover cures and concoctions courtesy of booze brainiac Oisin Davis. 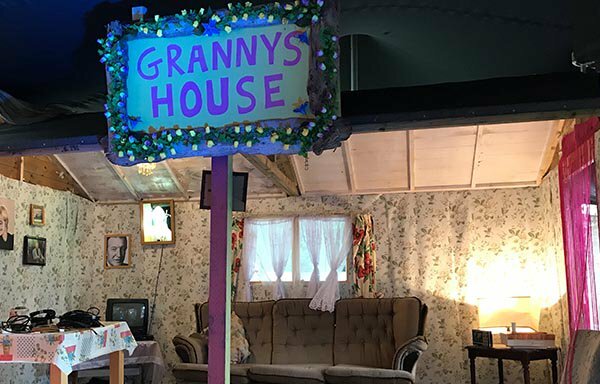 A warm welcome awaits at Granny’s Gaff, a great place to hole up and rest your weary bones for an hour or two. Richly adorned in retro kitsch, the kettle’s permanently on the boil and there’s always a chance of a bun or a posh bickie to go with a nice, strong cuppa. Curators The Glow Depot and Fluttertone have put together a wealth of talent featuring tunes from Grainne Hunt, Rachel Hickey and ELKAE. As the hours slip by, you’ll find there’s always time to squeeze in one more after-hours bop courtesy of Granny’s Free Gaff Party. If our experience of the buzz in previous years is anything to go by, there’s a veritable field full of cabaret, spoken word and theatrics at perennial favourite Mind Field. There you’ll find myriad contributions from Limerick luminary Blindboy Boatclub, Chupi, the energetic Word Up Collective and a special Thisispopbaby presentation of Tara Flynn’s moving Not A Funny Word. The History Ireland Hedge School is sure to stimulate plenty of debate, while Paddy Cullivan will be revealing ten dark secrets from 1798. We’re also looking forward to swinging by Sorcha Pollack’s New To The Parish, to eavesdrop on some fascinating observations from recent arrivals to our shores, and hearing Oonagh Murphy’s reflections and insights on the Direct Provision system.